If you’ve been following along thus far, you probably already know that we’re now entering what we’ve dubbed “Phase 2” of the third official MCC Insider flight. Beginning this past Monday, 7/30, ALL registered MCC Insiders should have access to this latest build. We intentionally haven't sent out notification emails to Insider participants yet, but if you fire up the Xbox Insider app you should be able to download the MCC Insider build and jump in! And if you're not yet enrolled in the MCC Insider Program, keep reading for important info and instructions on how you can join in the fun and help our MCC update efforts. Update 8/7/18 - All MCC Insiders who successfully registered as of Monday, 8/6 at 12PM PDT should now have build access! If you’re eager to just dive right in and get a quick crash course in the MCC Insider Program and the latest flight, check out this handy video below where Dersky and I walk through the basics on installing the build, some new features to explore, and how to provide feedback. And if you're not enrolled in the MCC Insider Program but you'd like to join - keep reading for important info and instructions on how you can join in the fun and help our MCC update efforts. Lastly, if you're just catching up on all of this, be sure to stop by the MCC Insider hub here at Halo Waypoint to read up on everything that's happened over the last few months. Since we started slowly rolling out this build and opening up access, we’ve received a lot of feedback from folks who expected to get access to the MCC Insider build but for various reasons do not see the build in their Xbox Insider App. The bad news is that if the MCC Insider build isn’t showing up for you in the Xbox Insider App, you’re not successfully enrolled in the program. The good news is that you can re-enroll right now and get added in with the next wave of players! Sign up for the MCC Insider Program! Please pay careful attention to each field, provide a valid gamertag, provide a valid email address, and make sure you meet the program requirements. 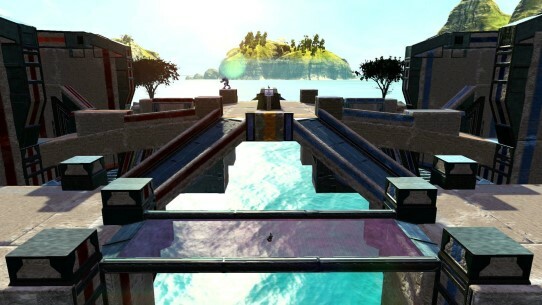 Going forward, new players will be added to the Insider build on Monday afternoons. Each Monday, anyone who signed up for the MCC Insider Program as of the prior Monday, will be granted access to the build. Currently, all MCC Insiders who were successfully registered as of 12PM on Monday, 7/30, have build access. On Monday, 8/6, all new MCC Insiders who signed-up after 12PM on Monday 7/30, and before 12PM on Monday 8/6, will be added to the flight. Update 8/7/18: Please note: The LAST DAY to register for the MCC Insider Program to participate in public flighting is Monday 8/13. Anyone who has signed up between 12:01PM PDT on Monday, 8/6, and 12PM PDT on Monday, 8/13, will get access the afternoon of 8/13. After that, the MCC Insider Program will be closed and no new registrations or access will be granted. Please see this post for more details. You will most likely NOT receive a confirmation email letting you know the build is available – as the program evolves and our player base grows, we’re phasing out direct emails (at least until we can implement a new system that can better scale). 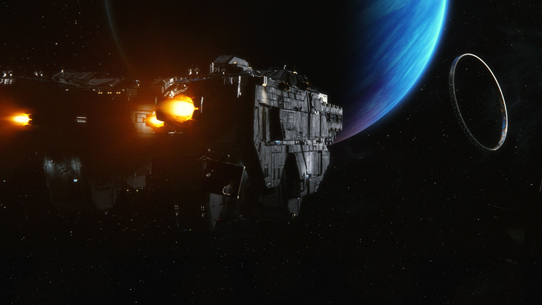 Keep an eye on the MCC forums here at Halo Waypoint for the the latest and greatest info and news. Once you’re registered for the MCC Insider Program you’re ready to join the public flight (either now or in the next wave, depending when you completed your Insider registration). In order to get this first build you'll need to access the Xbox Insider Hub, which is available from the Store on your Xbox One. Please note that access is linked to the Gamertag you used to sign up for MCC Insider Program. On your Xbox One, head to the Store. Search for and install the Xbox Insider Hub app. Launch the Xbox Insider Hub app and select Insider Content from the left side menu. 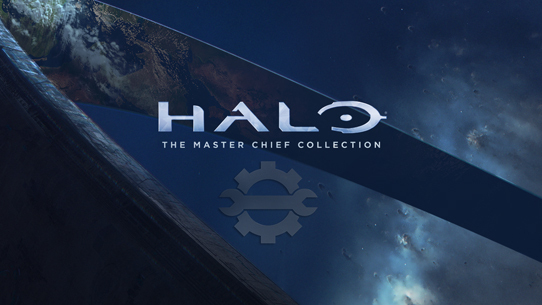 Select the MCC Insider icon under Available content. Within the MCC Insider Hub click Join to officially register for flight builds. The build should show up and begin downloading. If your build does not download automatically, you may need to select Show in Store to initiate the install. There are two key issues that we're aware of that could prevent a player from accessing the MCC Insider Build. Press the Xbox Jewel (“guide button”) and navigate to “Settings” inside of the System tab. Highlight “System” and select “Console Info”. Once you have re-added your profile to the Xbox and navigated the MCC Insider Program page from within the Xbox Insider Program you will be able to install the game again. The MCC Insider Program has been a critical path for the team to deploy in-progress incremental builds and get real world feedback from MCC Insiders. It’s super helpful to just play – as we’re always gathering data and telemetry – but feedback and bug reports from players are immensely helpful and have already directly resulted in numerous fixes and improvements! 1. “Report a Problem” – Using this built-in functionality in your Xbox console provides very helpful info to our team because not only can you explain an issue and attach a screen/clip but it automatically brings some debug info along with it that helps our team expedite investigations. To “Report a Problem,” hold down the Xbox jewel, select “Report a Problem”, and follow the on-screen prompts. Please be as detailed as possible. Take a look at the video embedded up above to see this in action. 3. Surveys – You may receive official surveys to gather additional input and feedback, keep an eye on your inbox for these. And lastly, many of you have shared feedback on Twitter or on reddit or elsewhere. We love feedback in all forms but it’s really the least efficient means we have and we’d greatly prefer you instead use the “Report a Problem” feature or stop by the Waypoint forums to let us know what’s on your mind. This latest build will include ALL of MCC in its current, work-in-progress state (minus ODST). Work continues and there are sure to be issues that arise - both known and unknown - but we're excited to get the entire product out into the wild for Insiders to get hands-on. Feel free to play and spend time in any/all of these modes. We may have periodic official play times scheduled to help get players into matchmaking or focus on a specific aspect of the game. For the most part, "Official" recommended matchmaking playtimes are now ongoing, every day! A limited number of playlists will be available and the offerings are subject to change depending on overall player engagement and population levels (just yesterday we cut back on the avaialble playlists to help funnel more players together to improve matching). And remember, you're free (and highly encouraged!) to play as much as you want across the entire MCC product offering any time you want outside of the official MP times above. Online player populations will vary greatly depending on day/time/region, so keep in mind your own experience may vary, particularly during off-peak times. The team will likely adjust playlist offerings in conjunction with population to keep things focused and help ensure players can find matches so keep an eye out for things to change over time. MCC Insider participants are free to stream, post screens and videos, and discuss their experiences on social and on forums. Help us spread the word – we’re always looking for more players to join up and help shape the future of MCC! However, please note that all email communications and official surveys are STILL CONSIDERED CONFIDENTIAL. A flight is, by nature, an incomplete in-progress version of software that will have issues. Some of these issues are known about beforehand, others are discovered through the process of flighting so they can be addressed in future patches to the retail product. A new update is rolling out today that should address the Halo 4 audio, the Halo CEA lighting issue, and restore Message of the Day (MELD) functionality in the MCC Insider Build. Corrupted Installation - We are aware of an issue where players may receive "corrupted chunks" of games when installing the MCC Insider build. If you find that maps/modes are missing in custom game menus, languages change unexpectedly when navigating through menus, or are you're unable to launch customs or matchmaking period, you may have a corrupted installation. For more context, check out this forum post. Unfortunately, the only way to resolve this corruption issue is to completely uninstall the MCC Insider Build and re-download it again. The MCC team has been working closely with our platform partners to identify a fix for this issue which is currently on track to be included with the next Xbox update later this month. Until this fix is deployed, there’s a chance that anyone installing MCC may encounter corruption issues. LAN - The new LAN functionality is available in this Insider build and we'd love to get your early feedback on this new feature! Please Note: For these flights, players will still NEED TO BE CONNECTED TO THE INTERNET IN ORDER TO PLAY LOCAL LAN GAMES. An internet connection will NOT be required once the update arrives to retail MCC. Assuming ongoing work progresses as planned and the expanded MCC Insider Flights perform as expected, the team is closing in on the official release of the first significant patch for retail MCC. We can’t quite announce that date yet – but we’re in the home stretch and quickly closing in on that huge milestone. Once the retail update goes out, the next order of business is bringing the new and improved MCC to Xbox GamePass – which was officially confirmed back in June during E3. We’ll have more details to share here soon but final timing is still pending the current flight and overall status for the retail patch itself. Once retail MCC is updated and the title moves into GamePass, the MCC Insider Program is going to morph into something a little different. We’re still working through some of the final details but a persistent “test realm” is going to live alongside the retail product where the team will continue working and iterating (along with the highly anticipated “Custom Games Browser”). Once that shift occurs, anyone who owns a digital copy of MCC (there’s no viable entitlement system for a physical disc) or is an active GamePass subscriber will be able to continue playing the Test Realm builds and helping to shape future updates for MCC. This test realm is where ongoing work will continue with further patches, fixes and features that will then roll into the retail product. We say this a lot but it’s only because we really mean it - THANK YOU! We’ve been blown away by the outpouring of support and engagement by the community throughout this process and as we open up the build to the rest of our Insider friends, we’re eager to hear from you and get your perspective on all the work that’s been done thus far. The team has plenty more on their to-do list but I think we can all agree that we’ve already got a much better MCC today than we did before this process began and we definitely couldn’t have done it without the help of our community. And, as a tiny token of thanks, we’re working on some new lobby nameplates for MCC that will be granted to MCC Insiders once the retail update lands (including an extra special variation for MCC Insiders who have gone above and beyond and have been truly instrumental in terms of time spent and feedback given!). We'll be back soon with a proper MCC Development Update (including another helping of "The Scoop") but in the meantime, jump in, kick the MCC Insider build tires, and we'll see you online!